This entry was posted in Big Mouth Loud and tagged Katsuyori Shibata, TARU on August 20, 2006 by TJ Hawke. This entry was posted in Big Mouth Loud and tagged Katsuyori Shibata, Kensuke Sasaki on July 2, 2006 by TJ Hawke. 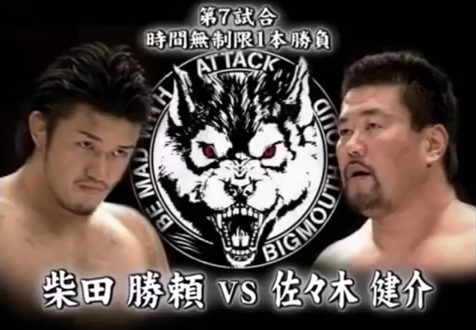 This entry was posted in Big Mouth Loud and tagged Katsuyori Shibata, Kota Ibushi, Naomichi Marufuji, Takeshi Morishima on June 18, 2006 by TJ Hawke. 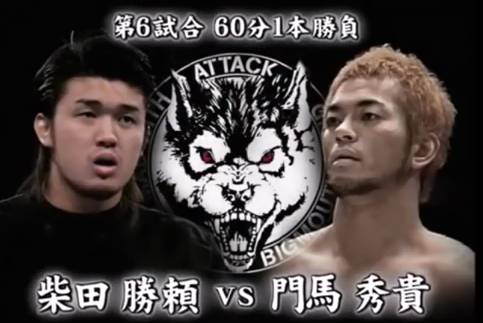 This entry was posted in Big Mouth Loud and tagged Katsuhiko Nakajima, Katsuyori Shibata on April 19, 2006 by TJ Hawke. 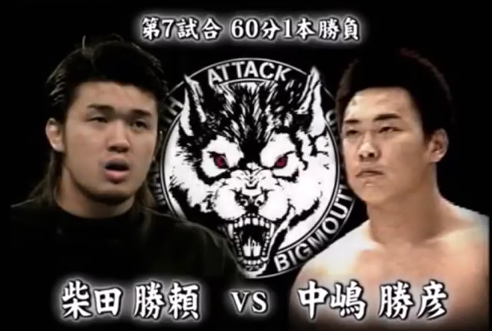 This entry was posted in Big Mouth Loud and tagged Hidetaka Monma, Katsuyori Shibata on March 22, 2006 by TJ Hawke. This entry was posted in Big Mouth Loud and tagged Kazunari Murakami, Kensuke Sasaki on March 22, 2006 by TJ Hawke. 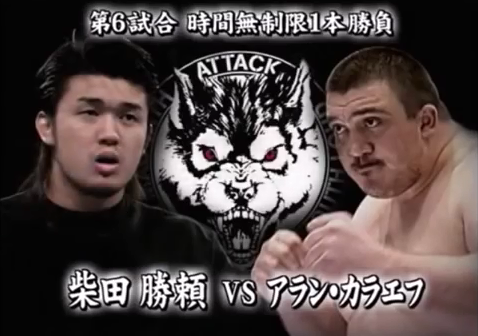 This entry was posted in Big Mouth Loud and tagged Alan Karaev, Katsuyori Shibata on February 26, 2006 by TJ Hawke.